Besides door installation and door repair, we provide door hardware to Metro Detroit homeowners and business owners just like you. You need affordable and durable commercial door hardware, and that’s why Metro Door & Hardware uses door hardware that provides long lasting use as well as the best door hardware to perfectly match your business’ style and color scheme. 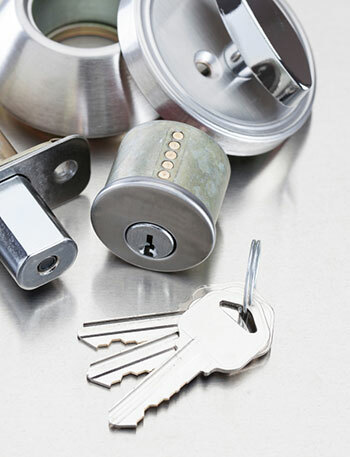 Office locks are an excellent choice for rooms and buildings that don’t require locked security 24/7. These locations would include an office, bedroom or small closet. Commercial door hardware office locks always need a key to unlock the door from the outside cylinder and come with a push button lock on the inside. 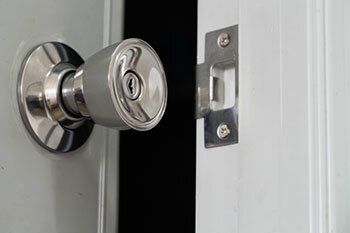 Privacy locks are commercial door hardware that is most commonly used in public restrooms and other privacy rooms. This privacy lock secures from the inside only and does not use a key. One feature to consider is an indicator light that reveals the privacy door is either locked or unlocked. Storeroom locks are commercial door hardware locks used to keep security rooms, storage rooms and other mechanical rooms secure. In addition, you need to remember it is impossible to unlock, or lock a storeroom door from the inside. Storeroom locks are most commonly used in rooms that don’t use a door closer, panic hardware, or other commercial hardware like automatic closers. Classroom security locks are commercial door hardware used in schools and municipalities across Metro Detroit and Michigan. These security locks are used in the event there needs to be a lockdown during an emergency situation. In addition, classroom security locks were designed to stop students from locking doors from the inside of their classrooms. This is also a great option for any security door that does not need to be locked with a pushbutton/turn or thumb-turn lock. A passage set lock is typically installed by Metro Door & Hardware when a commercial door doesn’t require any security using a lock. This commercial door hardware piece does not use a key cylinder, and the inside door latch/lever is free. Installation is relatively quick and easy, and Metro Door & Hardware’s carries a wide variety to choose from. Commercial Door Hardware That Includes Sargent, Arrow, Schlage, Medeco, Kwikset, Falcon, Baldwin and Adams-Rite! Metro Detroit Door & Hardware installs new doors, repairs used doors, and provides high quality commercial hardware installation. Commercial door hardware is available on-site and with many different in several functions for your individual needs. New commercial doors are many times sold without hardware and are customizable to your specific needs. This allows Metro Detroit Door and Hardware more flexibility for new door installation, and our experience in commercial door repair provides you affordable repairs and long lasting use. Our experienced door installers design, fix and install your business, municipal or home door systems using the best commercial door hardware at the most affordable prices. Commercial door hardware must be durable and long lasting; while blending the right style and function at an affordable price. Many times exterior and interior commercial door hardware will have special requirements for door and locking devices. In addition, exterior commercial doors typically need a more durable and secure locking hardware. Strike plates are less diverse however, and comes in durable commercial grade metal designed for everyday rugged use. Electronic Locks and Keypad Locks: generally considered commercial door hardware, keypad locks can be easily unlocked with a digital card or keypad. These devices are most often used for large commercial properties with many people requiring access. Single and Double Cylinder Deadbolt Locks: available in exterior and interior locking systems, this commercial door hardware device is also very convenient for everyday use. One-Sided Deadbolt Locks: Another commercial door hardware device, deadbolts are used inside a door for added security and peace of mind. Hinges for commercial doors come in a variety of sizes and types, and are qualified as light-duty and heavy duty door hinges based on your specific needs. door hinges are made from strong and long lasting metals and come in decorative options as well. 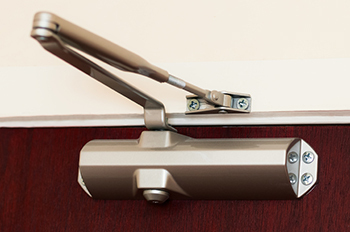 Commercial door closers are a very popular commercial door hardware and are mechanical devices that automatically close a door after opening, the most common commercial door closer is the overhead design, and concealed commercial door closers are another option as well. Commercial Door Stops and Knob-Bumpers: this very common commercial door hardware piece is used to prevent damage to your wall directly behind the door when it opens. We carefully install them directly on the floor or adjacent wall to the door. Metro Door & Hardware provides a wide variety of commercial door hardware that we sell outright, and use during our door installations and door repair services calls. We understand that purchasing commercial door hardware may be confusing sometimes, and that’s where our experience and expertise really comes in handy. We service a very wide variety of commercial and municipal doors around town, and we’ve got the right commercial door hardware, and the best installers for your individual needs both large and small.